In the United States, the law requiring contract surety bonds on federal construction projects is known as the Miller Act. This law requires a contractor on a federal project to post two bonds: a performance bond and a labor and material payment bond. As noted in the Federal Register that was issued Monday, August 30, 2010, the Federal Acquisition Regulation (FAR) Councils have instituted the Consumer Price Index increase to the Federal Miller Act that will be effective October 1, 2010. This raises the current threshold for all payment and performance bonds when agencies acquire federal construction contracts from $100,000 to $150,000. There are varying limits for State and Local Bond requirements. If you have any questions about this change or any other Bond related issue, please contact our Bond Specialists at 262-502-3829 or email Jay Zahn at Jay.Zahn@rrins.com. Work with a team of construction oriented professionals you can count on to assist in decision making. 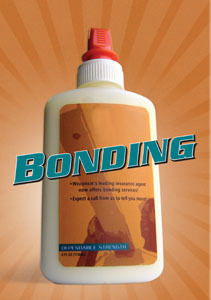 A bond agent well versed in contract bonding should be a priority. If your agent is not knowledgeable or does not have the market to fit your company's needs, then there is little other professionals can do to help with you bonding needs. A CPA that specializes in construction is a must. Attorneys, bankers and insurance agents are also key advisors. Have a bank line of credit available to support the company's business plan. Evaluate your bank. Contractors should critically evaluate the strength of their bank and that bank's knowledge of and "commitment" to the construction industry. When credit tightens, banks that do not have a deep commitment to contractors may pull back from an entire industry, regardless of the underlying credit worthiness of their customer. Don't take on more than you can manage. Stay within your capabilities. Think twice before you consider work outside your known geographical area and niche. Don't "buy" a job to keep employees busy—adjust overhead and maintain profit margins. Bid the job, not the competition. Don't be too anxious to fill your backlog. You have a choice on what projects to chase and what owners to work with. Evaluate the risk. Sometimes a contractor's best job is the one it does not get. One bad project can tear down a company. Update your business plan accordingly. If you don't have a business plan, it is imperative you develop one as it is critical every company have a "road map," goals or objectives.